British Rowing would like to see all coaches supporting their rowers to be competent with Level 1 before moving on to any specific rowing training. Successful completion and positive experiences of the level 1 stages is likely to keep the rower interested and engaged to stay in the sport. Developing confidence to get in and out of the boat and demonstrate simple skills. Developing flexibility, strengthing and stability to promote physical literacy and correct movement pattern. Developing physical activity to maintain a consistent elevated heart rate for a short period of time. Developing knowledge to allow the rower to become independent. Begin to take ownership of their training as well as their behaviour and responsibilities within the sport. 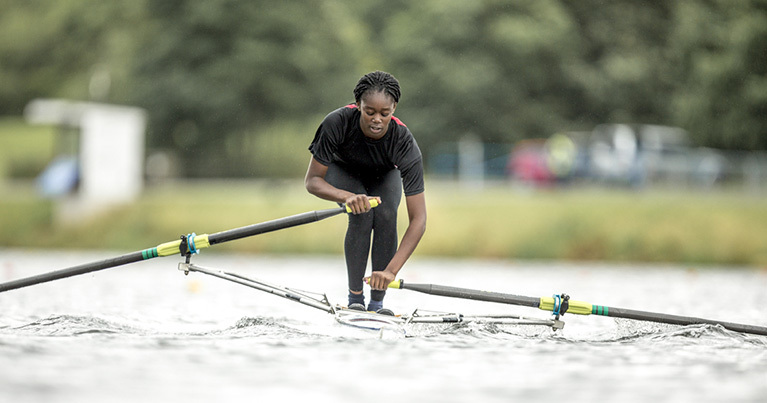 For level 2 rowers, events should be focused on development and gaining experience or continued participation for more experienced rowers who have decreased the amount of training they are able to do. Skill events e.g. J14 Omnium at British Rowing Junior Championships. Beginner categories of national events e.g. J14’s at BRJC or National Schools, Beginner/Novice events at BUCS events or National Masters.